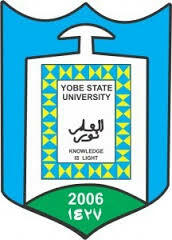 Yobe State University (YSU), Consultancy Services Unit Diploma Programme First Batch/ Merit Admission List of Candidates Offered Provisional Admission for 2018/2019 Academic Session. This is to inform all candidates who applied for admission into the Yobe State University, YSU diploma programmes for 2018/2019 academic session are hereby notified that they can now check their admission status online. The YSU Consultancy Services Unit, has released the Diploma programme first batch admission list for the 2018/2019 academic session. Click here to Download in PDF!! !